When navigating through some of life’s darkest moments often all that we can hold onto is our faith in God. Our faith is what sustains us, what gets us through challenging times when we, ourselves, cannot see the light at the end of the tunnel. It is in those times that through our faith we trust that God must have a plan, that there must be a greater purpose to our suffering. Without that belief, without that faith, we would have nothing to hold onto, nothing to get us through the dark night of the soul. Faith and trusting in God means believing in God’s divine timing and believing that God has the interest of our greater good at heart, even when we cannot see it in the moment. There is always a reason. It just may not be a reason that we can comprehend with our current level of understanding. As we move through any struggle however, there are certain steps we can take to align with our faith to support us in navigating the storm as efficiently and smoothly as possible. One of the most challenging things when facing difficulty is accepting where you are. You may not be in the ideal situation to face this calamity. You may not like the cards that you have been dealt or understand why they have been dealt to you. However going into a space of denial and resistance regarding your current situation will not help matters. In fact, what you resist persists. The more you fight against the very situation are facing, the longer you will have to endure it. You may not deserve it. It may not be your fault but this is where you are. This is what you are facing. Accept it so you can start moving through it. This is your starting point. Give up any preconceived notions about how things should have gone and accept that this is where you are today. Once you can come to grips with your current situation, then you’re able to surrender it to God and begin to move forward. As anyone who has been through tough times knows, while you are in the middle of a struggle it is often not possible to even comprehend why it is happening to you, let alone how you will survive the challenge physically, mentally and emotionally. Common advice during these times is to just “Let go and let God.” It is such an easy thing to say and yet is it really so simple? Our faith in God is not a magic pill. It does not make all of our struggles, all of our difficulties, disappear. It is through our faith that we come to understand that there is a bigger plan which can only be seen from a much higher perspective. We must trust that from that higher perspective sometimes what is in our long-term best interest cannot be seen from our short term perspective. We may be feeling the flames from the fire and wanting to jump out but we are unable to see that if we jump at this moment we will only be moving into a situation that is even worse. Pray from a place of power. Prayer is an important healing practice that helps us not only to connect with the divine but also to focus on our end goal. What is the end result that you are seeking? Define it, imagine it, visualize it and pray powerfully for it every day. Utilize your daily prayer time as a demonstration of your faith. Pray from a place of power as if your prayers have already been answered. Use the power of your word to state your goal in the present tense, as if it has already come to pass. Give thanks in each prayer deeply and from the heart, overflowing with the gratitude for the blessings that have been bestowed on you in the past, in the present and that you know will be in the future. Pray from a place of power knowing that all things are part of a greater plan which has your best and highest interests at heart. Be open to receive guidance. Pay attention and be aware. Notice any intuitive nudges or any repetitive messages that you may encounter during your day. This is spirit speaking to you. Notice it. Be open to it. Do not discount it. 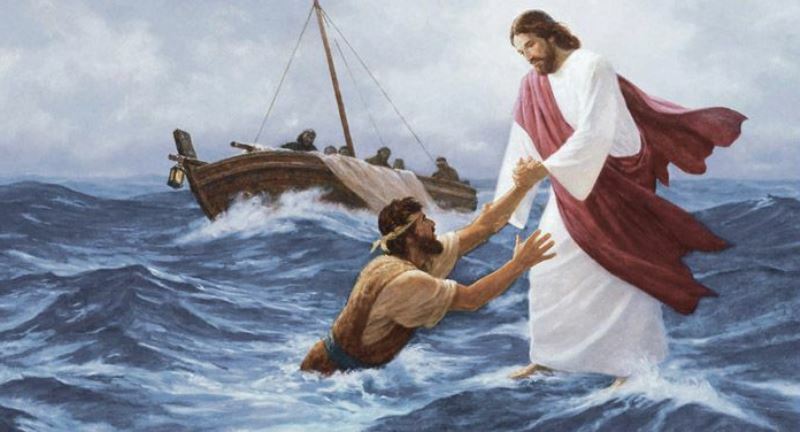 Many have heard the story of a man who arrived in heaven after having drowned in a flood. The man asked God, “Lord, why did you not save me? I waited for you!” To which God replied, “I sent you three boats!” Couched in humor, the message is to be open to assistance arriving in all forms. Do not discount something just because it is not what you expect. Sometimes the greatest blessings, the most amazing gifts, come in the most unusual packages. Even the most amazing stories of angelic intervention involve the individual taking some type of action even if it is small. You must not only be open to receiving guidance but then you must take action. Develop an action plan. Pray daily on that plan for guidance and for the success of the plan. Take guided action daily, even a small step each day toward your goal is a demonstration of your faith. Action is a demonstration of your faith in the ability of God to work great miracles in your life, but you must be a participant. Respond to the intuitive guidance that you receive through your actions and your behaviors. Take responsibility for working with God and through God to create the change you need to see in your life. I truly believe that all things happen for a reason. Even in my darkest hours I’ve always known that God has a purpose. That purpose may not be convenient for me at the time but I know am here to serve others as a servant of God. It is my faith and my belief that all things are working together for the greatest and highest good that have gotten me through my darker days. When going through struggles practice these steps of accepting your situation, surrendering, praying powerfully, receiving guidance, taking action and believing that the best is yet to come. Diligently practice these steps and the sun will shine in your life again sooner than you think.